Zordrath posted a message on Clearest matte sleeves with best card visibility? I've recently started doing Magic livestreams, so I'm looking for card sleeves (both regular and perfect fit for double-sleeving) that work best on camera, making sure you can see the cards as easily as possible. This means they should have the least possible gloss and be as clear as possible, not getting in the way of the cards. Do you happen to have any experience with outer and inner sleeves that fit this criteria? Any suggestions would be appreciated! 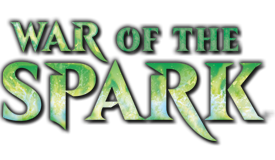 Zordrath posted a message on Decks that create the most interesting/surprising moments or change the game in unique ways? 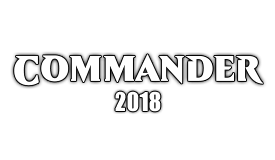 I'm running a weekly Commander livestream with three colleagues (think Game Knights, but live) and so far, I've just been playing the same decks I run in my regular games (mostly control, steal and graveyard shenanigans, the playstyles I love the most). However, I'm looking to build more decks that are specifically geared to make for fun and interesting viewing. My favorites are Rise of the Dark Realms, Rite of Replication and Expropriate. Insurrection also frequently closes games. And if it doesn't, just cast it again with Mizzix's Mastery. 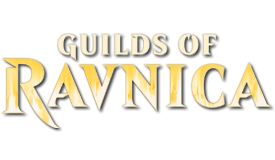 Zordrath posted a message on Teysa Karlov or Orzhov Scion - which is better? I'm looking to build an Orzhov Aristocrats deck and while the new Teysa Karlov looks really unique, I'm wondering whether she's actually better than the old Teysa, Orzhov Scion. Doubling death triggers can of course be really powerful, but I feel like she'll often just double stuff that would already be great anyway (clamping for four cards is obviously amazing, but you don't need that to push Skullclamp over the top). Furthermore, she only works if you already have a full machinery of pieces on the board (creatures to sac as plus a sac outlet plus cards like Grave Pact that profit from the sacrifice). On the other hand, old Teysa does a bit more herself, being a sac outlet on her own. However, she also has restrictions due to each of her effects only working for one color. Having never seen her in action before, I always feared this might be a bit clunky. What are your thoughts? Have you already played the old Teysa or experimented with the new one? Which do you think is the more powerful and more fun commander? I'd love to hear your opinions! Zordrath posted a message on Help Brew Yidris Wheels & Graveyards! There's more effects like these, but those are my favorites because they all give value immediately (unlike Wrexial, for example, who needs to attack). Lazav, Dimir Mastermind might also be fun if you're constantly wheeling. 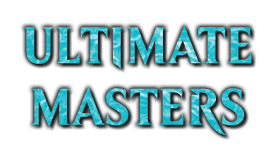 Zordrath posted a message on So what could WotC realistically do to help white in Commander? The easiest path for me would be to play up one thing that white already has: Its ramp. So far, they've really gone out of their way to make it so much worse than green. It's always conditional, it's often expensive and/or mana intensive, it frequently only gets plains and even then you sometimes get them onto the battlefield. To top ot off, there's very few cards that do it. I realize that green is meant to be best here, but I do feel this is an area where white could easily be improved without damaging the color pie too much. Give white an almost full Cultivate for example, just add one of the usual restrictions instead of all them: Either it's Cultivate only for Plains, or it's a full Cultivate that only works if someone has more lands. 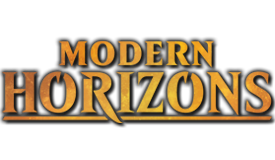 Personally, I'd prefer dropping the Plains restrictions because that limits deckbuilding and keep the "balance" restriction, because that's more unique. This way, you could take away one of White's two biggest weaknesses and even turn it into a new strength. I feel the mana issue is much easier to solve in color pie than the draw issue. In a similiar vein, playing up White's recursion could help make it more resilient. It already does have some, but it needs more cards on the level of Sun Titan that are powerful without being too conditional. Furthermore, I'm thinking some more land destruction effects that are more there to punish green players than just make the game miserable for everyone could help. Fall of the Thran is a good example of this: Let everyone keep some lands, but destroy the advantage of that green guy with 20 lands or the black player with a full sawmp + coffers suite. Looking a bit further, I think White could also use a couple more powerful synergistic themes of its own. It's often good at limiting what others do through control and hatebears, but less good at creating explosive turns by itself. Token strategies are its best bet here, but they are vulnerable and slow. White needs something akin to what Daretti did for red: Open up a new powerful and very general theme that allows White to be more degenerate itself. I'm not sure what this might be though, as the large themes are all divvied up pretty well. Perhaps more enchantress cards? Earthcraft is unfortunately a bit outside my budget, but I added the Demon and Dread Return - not sure how I even missed that. I'm also considering Nim Deathmantle. I did consider more cards with Dredge, but my issue is that most of them aren't all that good outside of Dredge. I have the Golgari Grave-Troll and the Stinkweed Imp and also added Dakmor Salvage. Life from the Loam will be put in there as soon as I get one, too. Are there any other dredge cards you would have added? 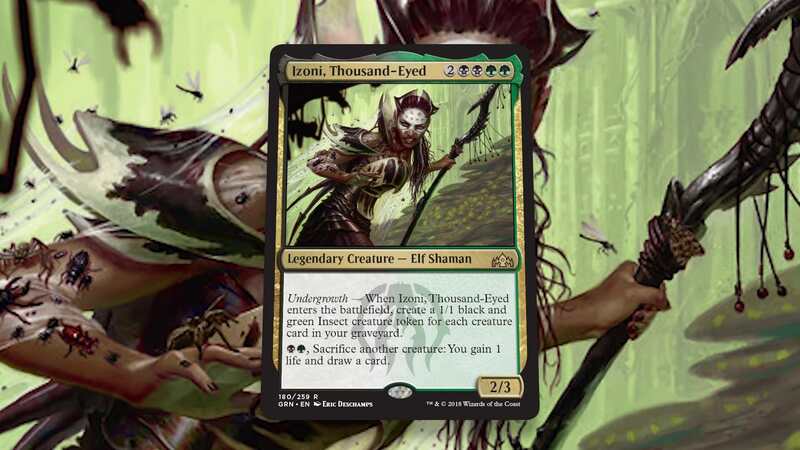 This is my first attempt at a deck for Izoni, Thousand-Eyed - who appeals to me because she can do a lot of classic Golgari shenanigans without being quite as ubiquitous and quite as big a target on your head as Meren of Clan Nel Toth. The deck is one part sacrifice for value, one part Grave Pact control and one part recursion. It usually looks to win by bleeding the enemy to death, either through many cuts or by looping Gray Merchant of Asphodel or Kokusho, the Evening Star a few times. - Do I need more backup token creators? 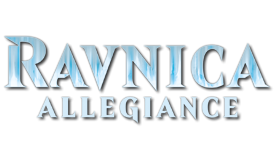 If my grave gets exiled, Avenger of Zendikar and Abhorrent Overlord can still bring a token army to the field. But should I add some more like Tendershoot Dryad, or would that be superfluous beside Izoni herself? - Do I need more self-mill? I have some of the usual staples, but perhaps some more wouldn't go amiss. However, I had trouble finding more self-mill cards that are actually good. Life from the Loam is the only obvious one I think I'm missing right now because I don't have it, but I may get it for the deck. Mesmeric Orb is also great at milling, but it doesn't grant any value besides that and mills the Karador player as well, so I'm on the fence about it. Let me know what you think! I couldn't find many lists for this Commander yet, so I'm looking forward to your suggestions! Zordrath posted a message on Any good card collection storage boxes out there that also look cool? I'm currently looking for storage boxes for my collection and it seems most people use the white ones by BCW. While they're certainly functional, I'd love to find something just a little more snazzy on top of that. I considered getting a Holiday Gift Box or two for that purpose, but apparently those boxes really don't hold up in terms of quality. So I was hoping perhaps some of you might know of a product that stores cards safely while also looking decent on a shelf? Any suggestions are appreciated! Zordrath posted a message on Which C18 Commanders are you building? I want to like Arixmethes, but I feel that for all his unique design, they played it a bit too safe with him. The fact that he comes into play tapped and has no evasion neuters both his land and his creature form somewhat. I would have liked him a lot more if he entered untapped and had Islandwalk, but maybe that would in fact have made him too strong. I'm surprised to see Tuvasa in the lead! I haven't seen nearly as much hype for her as for some other options like Yuriko, but maybe that's just because she's not all that flashy, but simply quietly gives an already popular deck type just the Commander it's been wanting. Let's get some hard data, folks! Which of the new commanders excite you, and which ones are you building? Me, I've already started on my Aminatou Esper Blink deck. I've always wanted to do a Blink deck, but all the obvious Commanders like Brago are so overdone that I always held off on it. 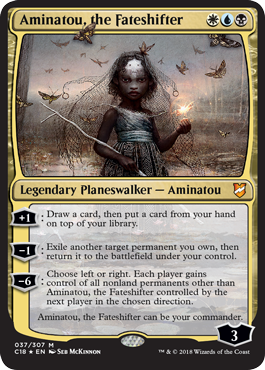 Aminatou may not be quite as powerful as those, but having Esper colors and being a planeswalker, I feel she does bring something unique to the table that made me excited to build her. I'm still mulling over Tawnos and Yennet. Both also fill niches I've been wanting for a long time: Tawnos is a multicolored Kurkesh and much more what I was hoping for in an Izzet artificer than Jhoira due to being more tricksy, but I'm not quite sure about win conditions yet. Yennet as well seems a much better topdeck matters commanders than quite a few previous choices like Intet, but I'm thinking Vaevictis might be even better. What are you guys itching to build? Who needs top of the deck matters? When Aminatou, the Fateshifter was first spoiled, my first thought: Finally a dedicated Esper Blink Commander! She's certainly not as much of a blowout as Brago, but like him she can blink any type of permanent instead of just creatures, allowing her some interesting tricks with cards like Reality Acid and other planeswalkers. The two advantages she has over Brago are her ability to blink lands for Emeria Shepherd and of course the addition of black, adding some really sweet new ETB effects like Sepulchral Primordial into the mix. This is my first draft of an Aminatou Blink deck, focussed around gaining value out of flickering powerful ETB creatures. Let me know what you think! One weakness is the mana curve, which is a tad high. Are there any cool ETB effects from creatures at 1, 2 or 3 mana I might have missed? 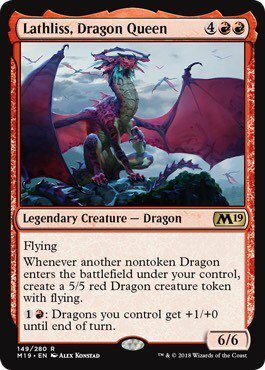 There's plenty at higher costs, but I'd like to get a few more creatures out early to protect the commander and stark blinking things with her to profit off her low mana cost. 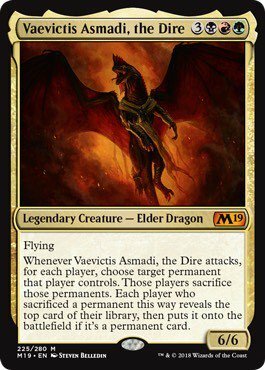 Bolas is cool, but I think I like Vaevictis even more. Sacrificing your own stuff for profit is not a downside in Jund, and Chaos Warping all your opponents with every attack is fanastic. One of the best Elder Dragons of all in my opinion.